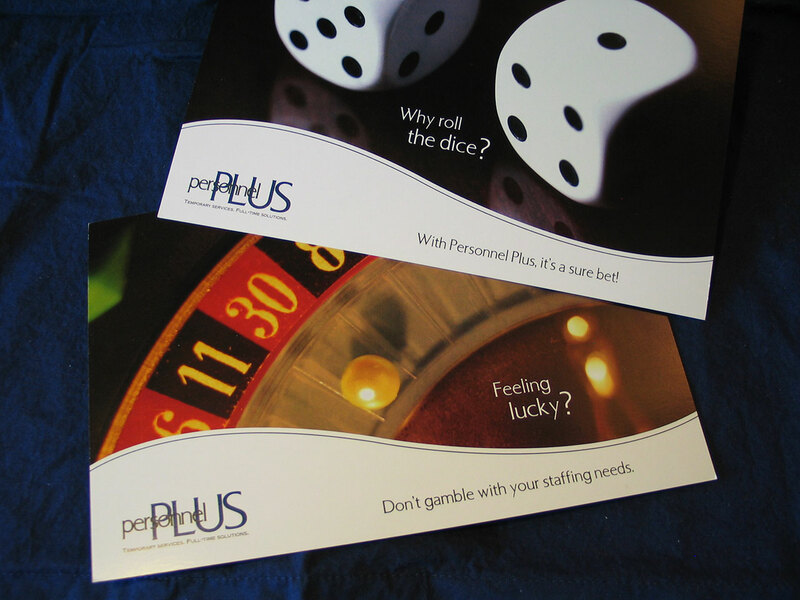 Personnel Plus is a Denver staffing agency for the financial industry. The company asked for an eye-catching series of postcards. I created a series of four postcards with bold imagery and tongue-in-cheek copy to help the firm stand apart from the norm.